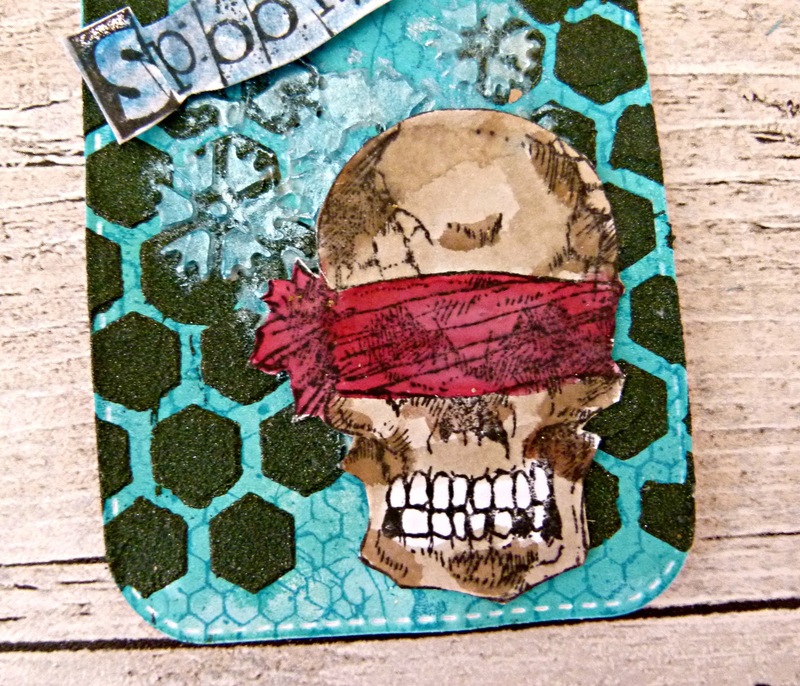 I have a quick make for Sin City stamps using the new DriBonez set by Rick St Dennis. Start off by spritzing a few blank ATCS with blue inks and leave to dry. 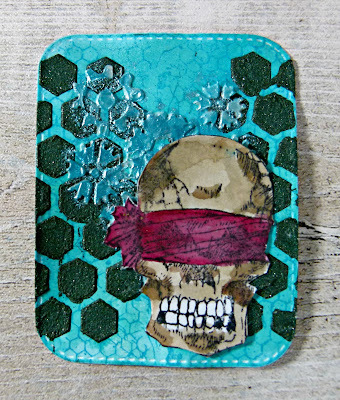 Apply a stencil mask with green texture paste and leave it to set. 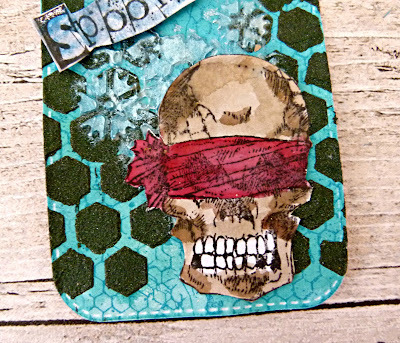 Stamp out the bones stamps onto the white card and color in. Create different designs by layering up different stencils with modeling paste. 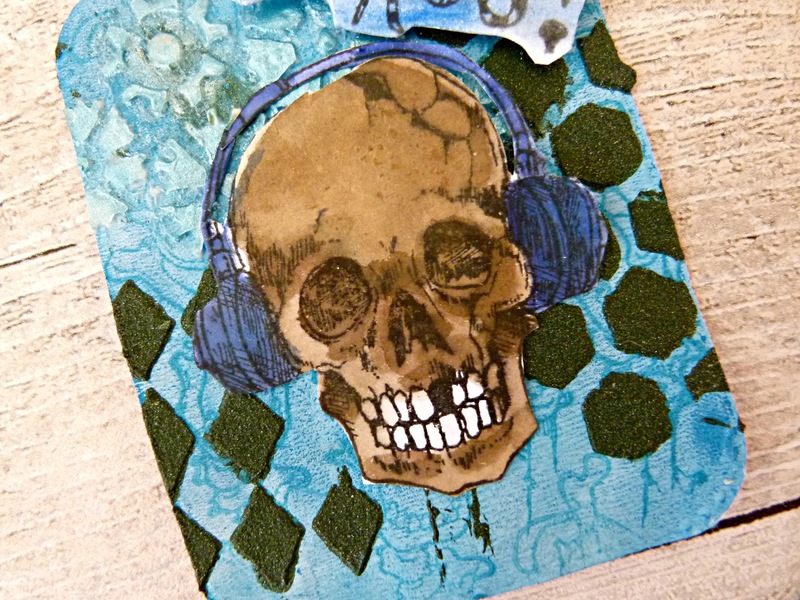 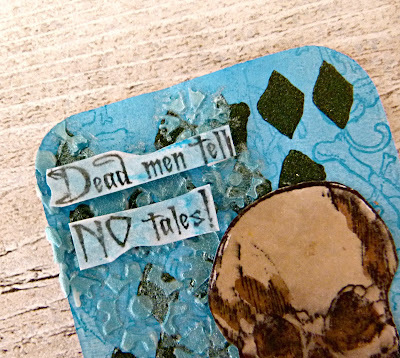 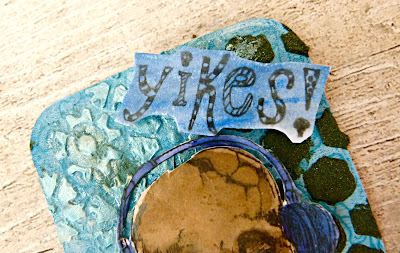 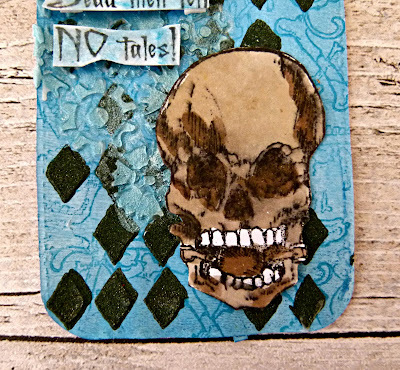 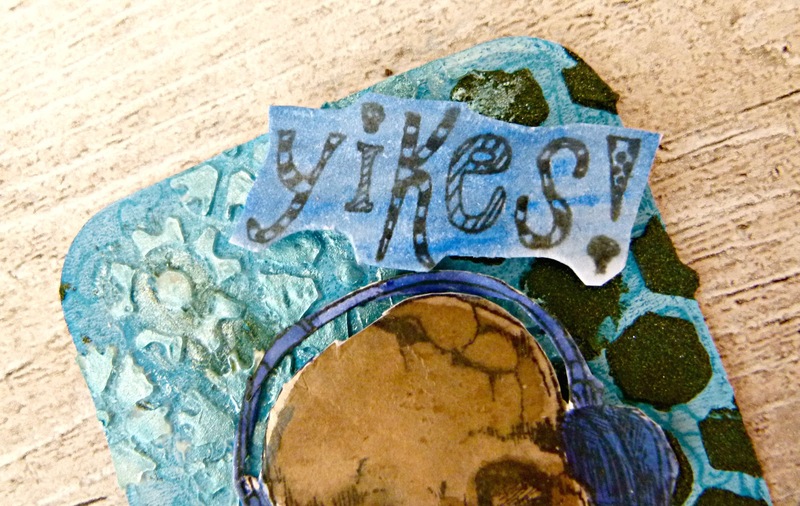 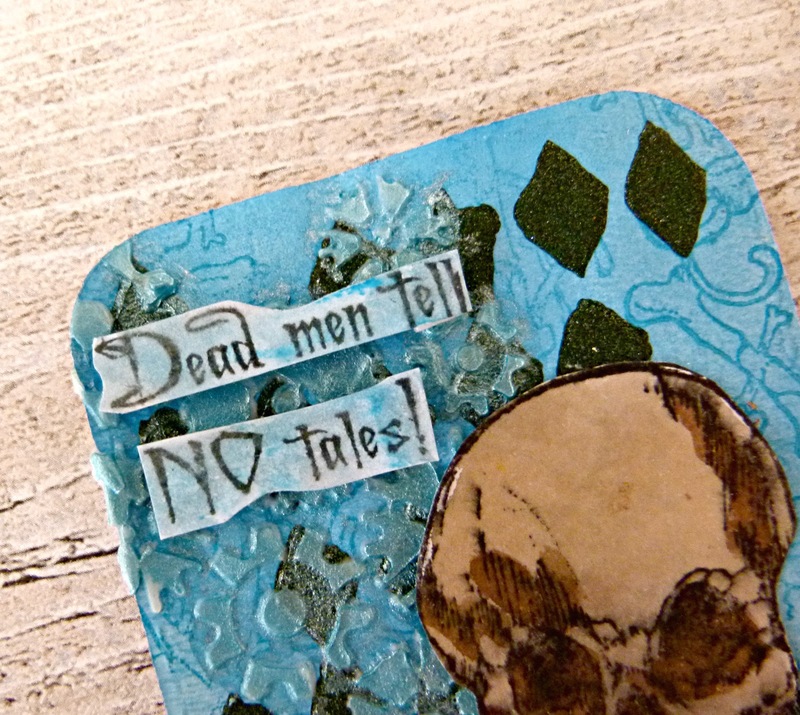 For this ATC, I used the grungy background stamps to create a pattern. 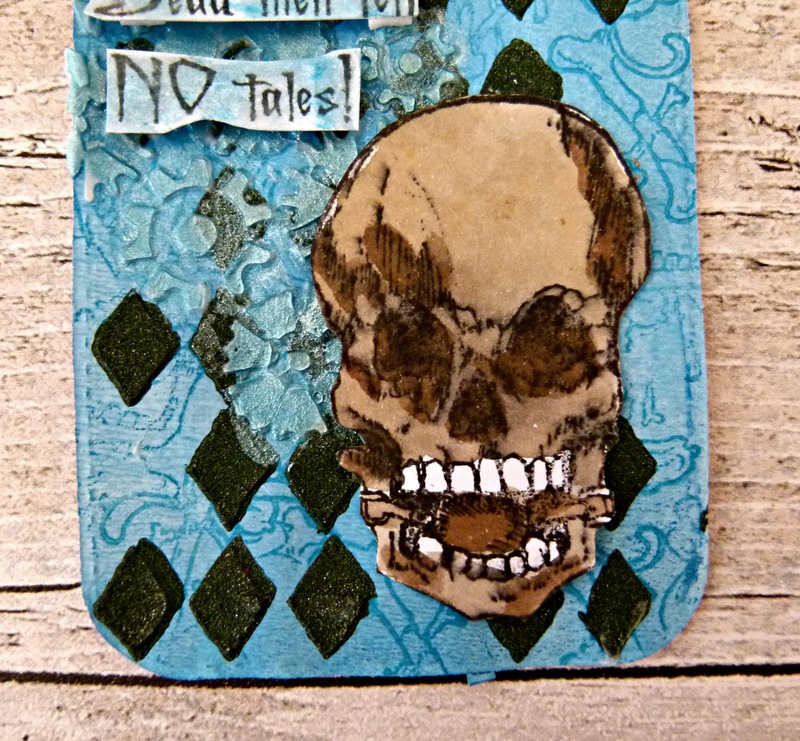 The skulls were colored in using sepia ink which gave them an old feel.